Sybase Afaria is recognized as the most powerful, flexible and secure option for managing mobility across the enterprise. 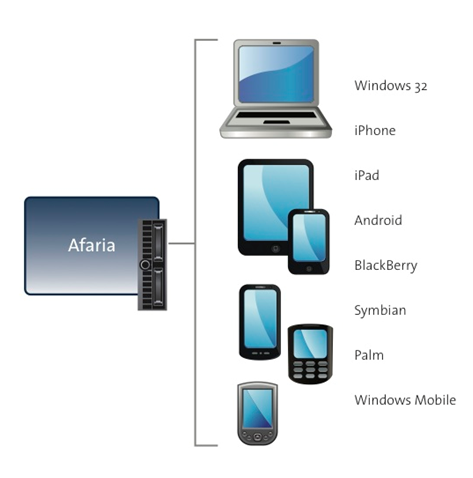 Afaria simplifies the complexity of managing a wide range of devices over any network. Afaria ensures the management and security of mobile devices over any network for any size of deployment. 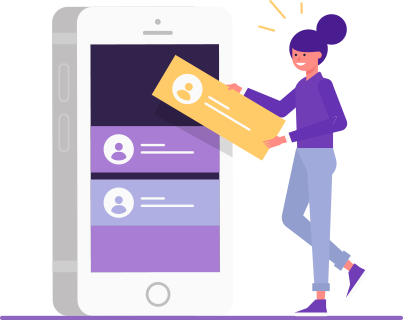 In addition, Afaria is highly customizable to meet the varying needs of every enterprise and can be deployed in either a hosted or on-premise implementation. Whether workers are using personally-owned consumer devices or task-specific ruggedized devices, Afaria allows IT to manage mobility with complete confidence. Ensuring productivity by minimizing connection time and delivering up to date information wherever it’s needed. Managing the mobile workers’ devices and applications as if they were in the office. Delivering control across all mobile devices, data and applications from a single console. Keeping the security responsibility away from end users and within the control of appropriate IT personnel. Pre-engagement conference call between our Afaria consultant and the customer’s technical representative to review technical specifications, software to be installed, network configuration, network account assignments and project logistics. Onsite complete review of the current environment and the desired configuration. Install, configure and test Handheld Provisioning for Afaria. Validate installed software is functioning per entire system’s desired configuration. System demonstration and essential knowledge transfer pertaining to Handheld Provisioning for Afaria.